Bittylicious is easy to use, convenient, and usually has reasonable bitcoin rates (2-3% above mid-market rate). Alternatives with better rates are available, but they’re nowhere near as quick (<1 hour) and involve faffing around. Want to find out more about Bittylicious? Who are they? Can you trust them? To clear up these questions (and more), I’ve put together a brief review of Bittylicious. 5* Trustpilot Review (>1000 reviews). Competitive markup (usually 2-3%) for bitcoin (BTC). Bitcoin & 15 other cryptocurrencies available (see end for list). Verification usually required for higher purchase limits. Alternatives with lower fees available (but not same-day). Bittylicious is a UK-based company which has been around since 2013, with registered offices in London. The listed directors are Nicole Gera and Marc Warne. They have a 5* Trustpilot rating, with >1000 reviews. Their mission is to: “make the bitcoin buying experience as easy as possible”. 67,000 new user had signed up. Verified 150,000 pieces of documentation. £99 million traded hands through Bittylicious. When you buy or sell cryptocurrencies through Bittylicious, you’re not buying or selling to them. Instead, they act like a marketplace which connects everyday people (looking to buy or sell cryptocurrency) with registered brokers (who will sell to, or buy from, these customers). While alternatives like Localbitcoins allow you to complete a trade with anyone in a truly P2P manner, everyday people are restricted to trading with registered brokers on Bittylicious. Bittylicious matches trades, but you’re not sending any funds to them. Instead, you’ll deal directly with a broker who Bittylicious have verified. Not just anyone can become a broker on Bittylicious though, as it requires an application process to establish legitimacy. Fortunately, this is all handled backend by Bittylicious. As an everyday customer, this means you don’t have to worry about vetting the broker yourself (as you might do on alternatives like Localbitcoins). Even though you’re dealing directly with a registered broker, Bittylicious do hold the cryptocurrency in escrow (for added security). Before you can buy more than approx. 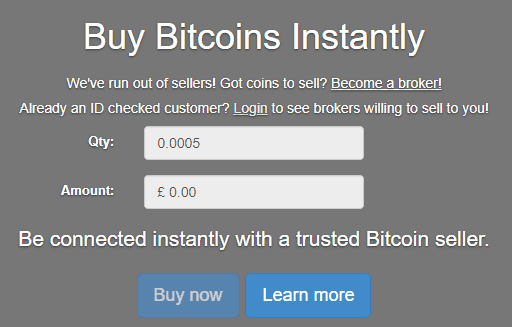 £50 worth of cryptocurrency, you’ll need to verify your identity. This involves submitting your mobile phone number, proof of name, and proof of address. The more documents you submit for verification, the higher your limits will be. I’m fully verified and can purchase a maximum of 15 BTC at once. Supports Faster Payments (most high street banks do, but check here). Correctly sends the account name and reference. Here’s a list of banks you can’t use. I wouldn’t recommend paying with credit or debit card. You’ll typically get rates >5% above the actual market-rate (when buying bitcoin). If you want to use a credit or debit card, buying through Wirex is the cheapest option. The interface isn’t fancy, but it works and it’s easy to use. Your purchase is usually confirmed in <5 minutes, with bitcoin (or other cryptocurrencies) credited to your wallet in <1 hour. 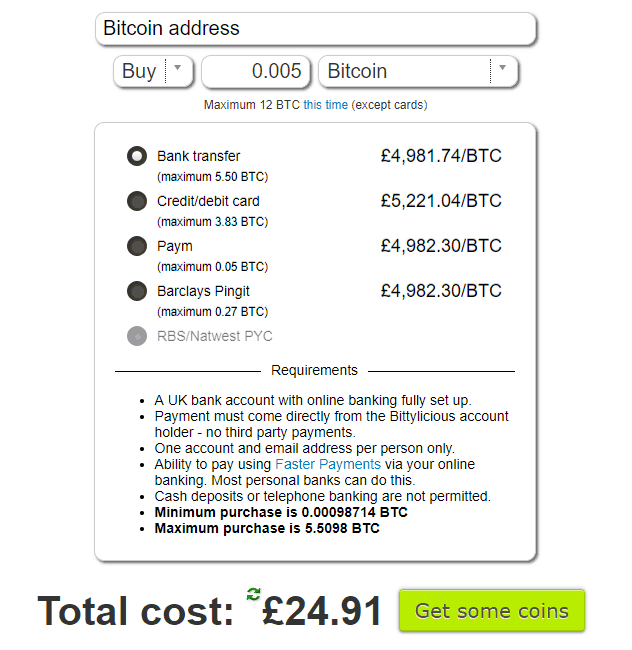 If you want to buy bitcoin (or something else) ASAP and minimise fees, then using something like Bittylicious is the way to go. Note: As Bittylicious doesn’t host online wallets, you’ll need a bitcoin wallet setup. If you’re interested in what the process involves, expand the section below. Go to the Bittylicious homepage and login to your account. Select the payment type (recommended: ‘bank transfer’). Refresh the total cost (press the green icon) and select ‘Get some coins’ when you’re happy. A new screen pops up with payment information. Use all that information to make the bank transfer. It’s VERY important that you check that the reference is correct, otherwise your purchase will be delayed. Once you’ve made the payment, select ‘Click here only when you have sent payment’. You’ll be sent to a new page. You’ll then need to wait for Bittylicious to verify that the funds have landed in the broker’s account. My experience is that it takes less than 2-3minutes (but it can take longer). Shortly after, you’ll receive a transaction ID so that you can track the transfer to your Bitcoin address. This could take up to 1hour (but usually less). If it takes longer than 1hour, consult this guide. As a buyer, you’re not charged an explicit fee to use Bittylicious. However, you will be quoted prices above the actual market-rate. Bittylicious doesn’t set the rates, the brokers using their platform do. Bittylicious’ brokers tend to be competitive. Although the markup charged varies depending on market volatility, it usually hovers between 2-3% above the mid-market rate for bitcoin (BTC). Litecoin (LTC) had a 2.5% markup. Dogecoin (DOGE) had a 5% markup. Vertcoin (VTC) had a 39% markup (!!!). Bittylicious always chooses the network fee which is recommended by the Bitcoin Core wallet (which means it’ll usually get in the next block or two). Unfortunately, this does mean that their bitcoin prices can be less competitive when the average network fees are high. This problem isn’t unique to Bittylicious. 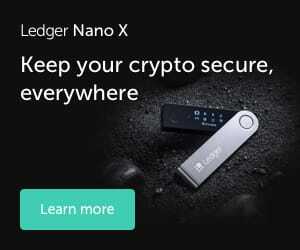 However, it is salient in the headline price – as Bittylicious directly deposit into your external wallet. This isn’t the case for some alternatives (e.g., Localbitcoins), where the bitcoin is deposited into their web wallet. With these alternatives, you’ll get stung by these network fees when you eventually decide to withdraw from this web wallet (i.e., it’s hidden from your price comparisons). Network fees are currently quite low, so this isn’t an issue – but something to keep in mind when conducting price comparisons. Bittylicious’ closest competitor is Solidi. Solidi are based in Cambridge UK, accept UK bank transfers, and have similar advertised prices. They appear to operate slightly differently, but it does seem like a comparable user experience. Purchases on Solidi are initially deposited into their online wallet. Solidi only buy/sell bitcoin (BTC). I tend to use these two services interchangeably, depending on who is offering the best bitcoin rates. If you’re looking to buy bitcoin ASAP or as conveniently as possible, you should consider Bittylicious. With Bittylicious, you can usually buy bitcoin (and have it in your wallet) in less than 1 hour. You could use them to purchase 15 other cryptocurrencies too. Although you can use other methods to get better bitcoin rates, there’s nowhere near as quick and easy. Truth be told, their rates (2-3% markup) tend to be competitive with other options which offer a comparable service (e.g., Solidi). Although Localbitcoins and BitBargain tend to offer better rates, you’ll have to jump through hoops (e.g., authenticating yourself with individual brokers and proving you’re not a scammer) to get them. Bittylicious’ value comes from doing this all behind-the-scenes so that the bitcoin buying experience is quick, easy, and painless. I’d definitely recommend them. If you haven’t already, I’d give them a shot and decide yourself. What cryptocurrencies can you buy on Bittylicious? What other countries does Bittylicious support? Credit/debit card purchases can be made in EUR, GBP, or USD (anywhere). How do I calculate the % markup? Go to GDAX (you don’t need to signup/login) and look for the ‘Last trade price’ at the top of the page. Copy that (1). On Bittylicious (or elsewhere), copy the quoted price (2). Plug numbers (1) and (2) into something like this. It’ll tell you the % difference. Divide (1) by (2). This usually gives you a result <1. Marc from Bittylicious was kind enough to offer some corrections/improvements (which have been intergrated). You can actually purchase anonymously fwiw – it just depends on which brokers are around. I believe right now, there are some brokers who will accept users who haven’t verified their ID. You say you’ll deal directly with a broker who Bittylicious have verified. This is true, but it’s worth bearing in mind that Bittylicious still act as the escrow so the coins are held safely. Network fee – you say that “could lose a chunk of your purchase if the average network fees are high” — that’s a little misleading as you get the amount of Bitcoin as requested. Of course, brokers might increase their fee to cover this cost though.